Do you struggle to fasten up your jean’s zip? 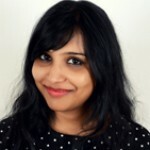 Finding hard to breathe due to the tight, uncomfortable tummy tucker you are wearing to prevent your belly from bulging out? Well, then it’s time to cut those few extra inches and look gorgeous without trying too hard. You can do that by eating tomatoes along with other healthy foods. Are tomatoes good for weight loss? This seducingly red and juicy fruit is a great source of protein, vitamins, minerals, and dietary fiber that can significantly reduce your dress size in a month. 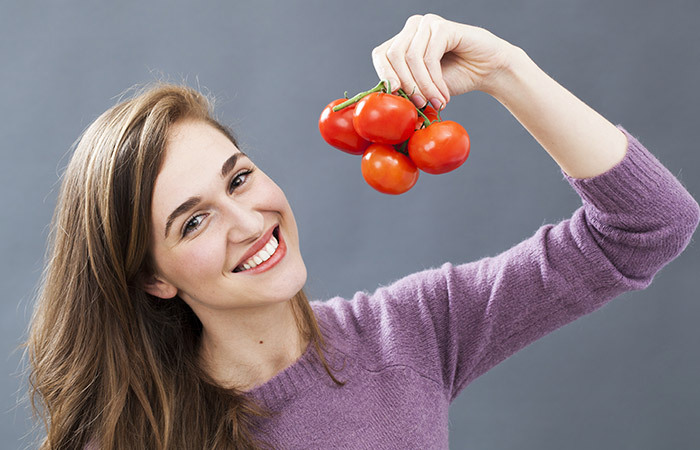 Eating tomatoes will also make your skin smooth and lustrous. So read on to know the tomato benefits for weight loss. Also included are tomato diet chart, tomato recipes, and much more. Girl, you will knock many hearts out of rhythm, I promise! 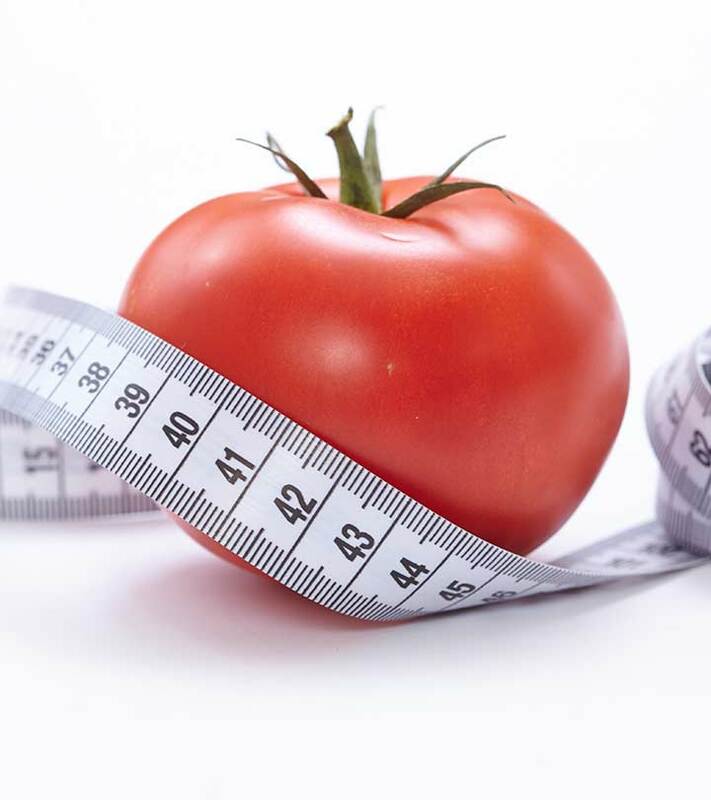 How Tomatoes Help Lose Weight? Tomatoes are extremely low in calories. One small tomato contains only 16 calories, which is great because if you have two tomatoes, you will still consume less than 50 calories. And when you consume fewer calories you burn the calorie even when you rest (resting metabolic rate) instead of the calories being stored as fat (1). A cup of tomato contains about 2 g insoluble fiber and 0.20 g soluble fiber. Both soluble and insoluble fiber plays a crucial role in weight loss. Soluble fiber in tomatoes forms a gel-like substance in the large intestine where it acts as a food source to the good gut bacteria. This helps to reduce the absorption of foods thereby increasing your satiety. Insoluble fiber binds to the fat molecules and prevents their absorption (2) (3). Scientists have confirmed that consuming tomato juice can boost lipid metabolism by inducing expression of genes involved in fatty acid oxidation (4). In a study on middle-aged women, researchers discovered that consuming tomato juice increased Resting Energy Expenditure (REE – the number of calories required by the body while resting) and also lowered the triglyceride levels in serum (5). The GI value of tomato is 38, which is quite low as compared to other processed foods and many other fruits and veggies. Glycemic index is the measure of how much time a portion of food takes to increase the blood sugar levels. 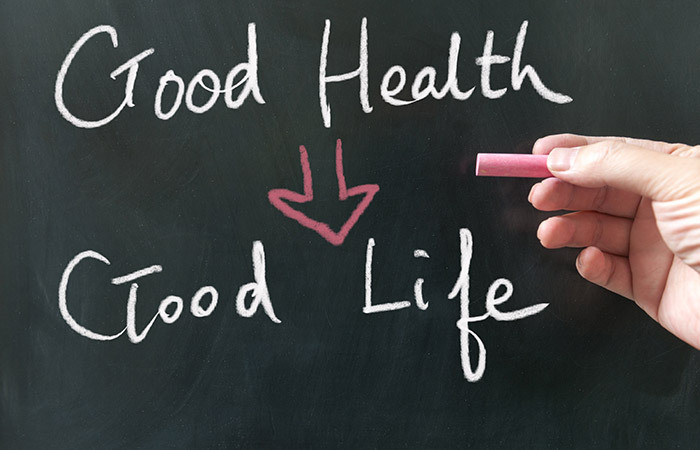 The more time food takes to increase the blood sugar levels the better. Low GI foods like tomato increase sugar levels in the blood slowly in a controlled manner that keeps the blood sugar levels in control. An uncontrolled spike in blood sugar levels may put you at risk of diabetes, cardiovascular disease, kidney failures, and blindness (6). Tomatoes are rich in lycopene, a potent antioxidant (7). Antioxidants help to scavenge the harmful oxygen radicals. Oxygen radicals tend to change the DNA structure and create a state of stress inside the body. This triggers a stress response in the body that causes fat accumulation and weight gain. 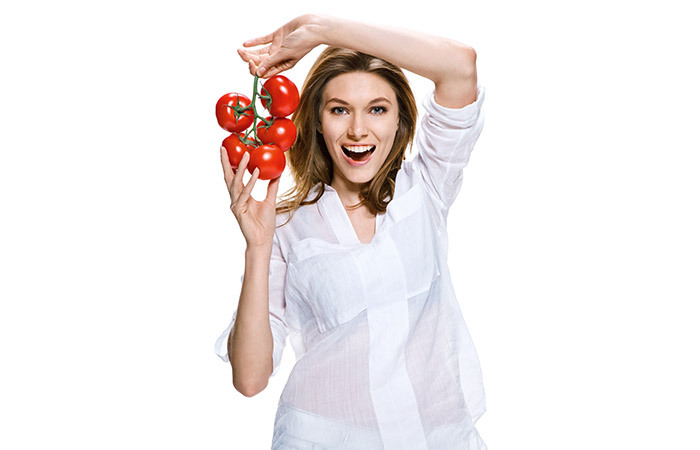 Therefore having tomatoes will help reduce the oxidative stress in the body and help you lose weight (8). Lycopene found in tomatoes are also responsible for suppressing the production of proinflammatory biomolecules thereby reducing inflammation (9). Since inflammation can also cause weight gain, consuming tomato will help reduce inflammation and prevent inflammation-induced obesity (10). Hypertension is another reason why you may gain weight. Blood pressure spike can lead to toxic buildup and emotional eating leading to obesity. Here too, tomatoes can help. Tomatoes contain beta-carotene, lycopene, and vitamin E that help to lower blood pressure, protect you from cardiovascular disease and weight gain (11). Regular consumption of tomatoes can lead to lowering of bad cholesterol (LDL cholesterol) and a significant increase in good cholesterol (HDL cholesterol) levels (12). HDL cholesterol supports weight loss and prevents the risk of cardiovascular disease (13). 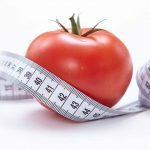 How To Consume Tomatoes For Weight Loss? 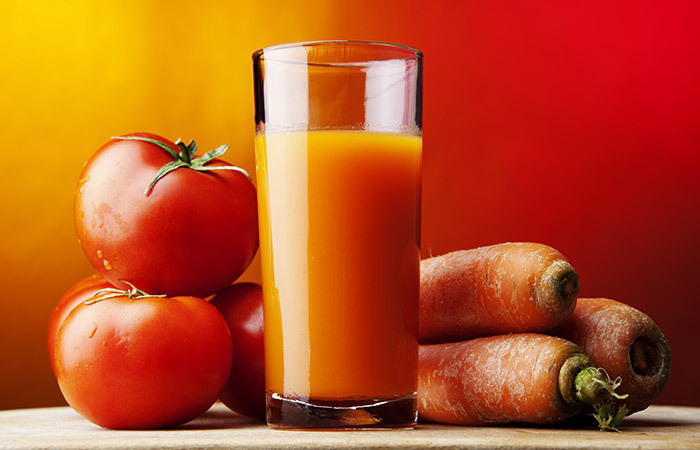 You can make tangy and tasty tomato juice or tomato smoothie. Be innovative and add other fruits or veggies and herbs to make it more palatable and filling. Add tomatoes to your salad to add extra texture and flavor. Cook your stew and curry with a generous amount of freshly made tomato puree. Want to whip up a delicious and healthy meal in a jiffy? 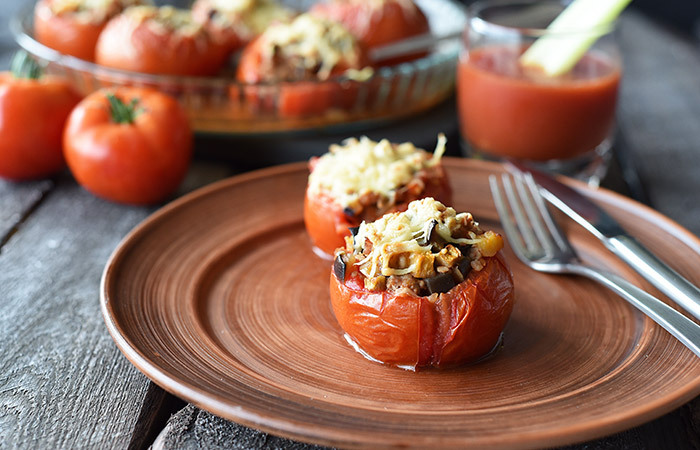 You can stuff tomatoes with mushroom/chickpeas/chicken/ground turkey and grill it, it’s ready! Have grilled fish or chicken with grilled tomato, asparagus, and green beans. You can add tomato, carrot, and peas to your quinoa. Just have a tomato with a dash of lime juice as a snack. Have a cup of tomato soup for lunch or dinner. Make a juicy and delectable tomato and cucumber sandwich for lunch. Including tomato in your diet is really easy as no extra preparations are required. 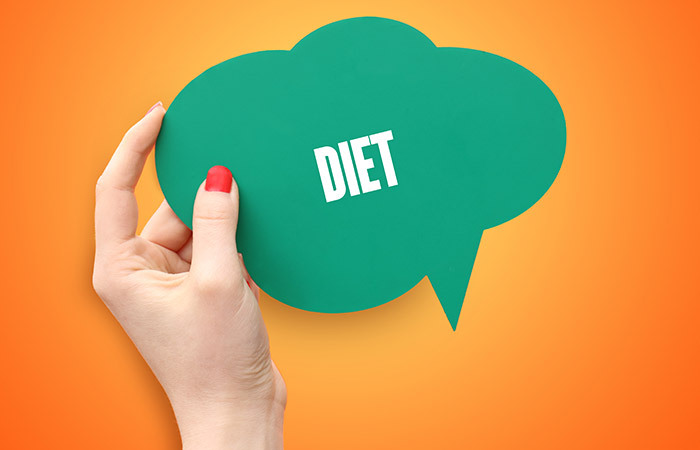 Now, let us take a look at your new diet chart that can help you lose weight. Early Morning (7:00 – 7:30 a.m) 1 cup warm water with 1 teaspoon honey and juice of half a lime. How This Diet Will Help ? 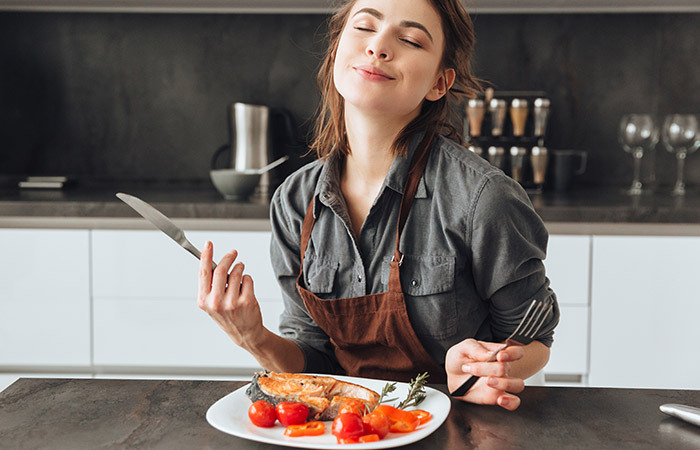 This diet chart I have prepared for you is low in calories, strikes a harmonious balance between proteins, complex carbs, healthy fats, and dietary fiber. The morning detox water will help to flush out the toxins. A substantial breakfast that includes tomato and other low-calorie nutritious foods will help you get started in the morning and stay active. Green tea is loaded with antioxidants and helps to suppress your appetite. For lunch and dinner, include tomato in your diet that will enhance the taste of your food and also help you lose weight. For the evening snack, have green tea, pomegranate or tomato juice to keep yourself from giving in to your junk food cravings. Occasionally, you can have a piece of dark chocolate (80% cocoa or more) after dinner. If you are a picky eater or allergic to a particular food mentioned in the diet chart, here is a substitute list for you. So you see, you can easily incorporate tomato into your diet and reap all the benefits it has to offer. Now let’s get to the exciting part, mouthwatering tomato recipes in the next section for you. Toss all the ingredients into a blender and give it a spin. Pour it into a glass and add a pinch of Himalayan pink salt. Prepare the dressing by mixing Dijon mustard, olive oil, lemon juice, salt, and pepper in a bowl. 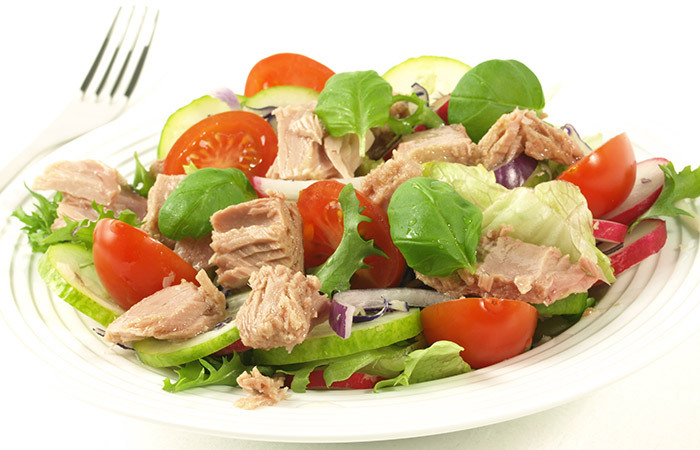 Toss the tuna, baby spinach, and chopped tomatoes together. Drizzle the dressing on top, and it’s ready to eat! Cut the top of the tomatoes and scoop out the seeds. Heat a little oil in a frying pan and add the garlic and fry till it becomes brown. Turn the flame off and add the dried mixed herbs, salt, and pepper to taste and stir well. Use a spoon to stuff the tomatoes with the mushroom filling (be generous). Place the stuffed tomatoes on a baking tray. Drizzle a good amount of olive oil and a pinch of salt and pepper on top. Roast the tomatoes in a preheated oven for about 15-20 minutes. Take out the grilled tomatoes out and add a dollop of sour cream before serving. I am sure these recipes are making you hungry. And that’s good because you don’t have to eat tasteless food anymore to lose weight. What makes it more exciting is that tomatoes have other health benefits. Let’s find out what they are. Tomatoes are an excellent source of antioxidants and can help protect from cancer. High fiber content in tomatoes makes them the ideal home remedy for constipation. Tomatoes are also protective against macular degeneration. Tomatoes are rich in folic acid which helps to protect infants against neural tube defects. 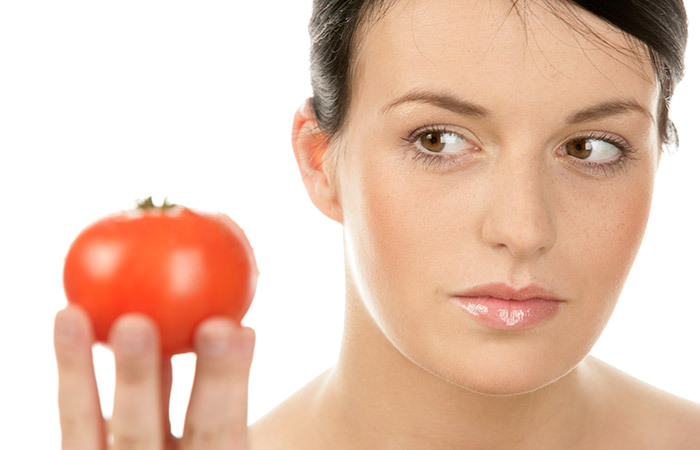 Tomato can also protect from skin damage, delay skin aging and skin sagging. It also helps improve mood. That said, you should also consume tomatoes in moderation. This is what can happen if you consume too many tomatoes. It is clear that consuming tomatoes in excess to lose weight quickly won’t work. But if you want to lose weight quickly, here is what I recommend. There you have it—the scientific evidence why I recommend tomatoes to shed those extra pounds as well as a strategically devised diet plan for you. If you follow these tips, you will not only lose weight but also be able to maintain the weight loss. So, start today and be ready to dazzle. Good luck! Can Eating Watermelon Help You Lose Weight? Can Peppermint Tea Help You Lose Weight?